Sprightly intelligently-spec'd commuter hybrid bike ready equipped with mudguards and rack to make it fit for longer trips. Shimano Tourney shifters, chainset and Altus rear mech EZ Fire their way through the 3x7 gears. 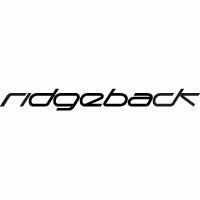 With its 48/38/28 Shimano chainset and 12-32 Shimano cassette, the Ridgeback Speed is higher geared than an MTB transmission with a 42 or 44t big ring, thus enabling an extra burst of speed, whilst retaining a nice easy low gear for hill climbing. The 700 x 35c tyres are smooth-rolling on tarmac and forgiving on dirt roads. Its 36 spokes and Shimano cassette rear hub makes the alloy rear wheel stronger than one built with fewer spokes and fitted with a screw-on freewheel. The Ridgeback Speed is part of Ridgeback's Metro line of commuter / hybrid bikes. SPEED - Our bestselling commuter category, Metro returns with an updated look to go with its practical and reliable design.. Designed around the standard Metro frame platform, Speed is our entry into Equipped models in the Metro range, featuring a Shimano chainset at the front and Shimano derailleur at the back coupled with full mudguards and a rear rack this is a versatile, practical bike designed to provide an excellent experience whatever the conditions or terrain. Practical, reliable and stylish. A Ridgeback Metro is the perfect bikes to get you from A to B.